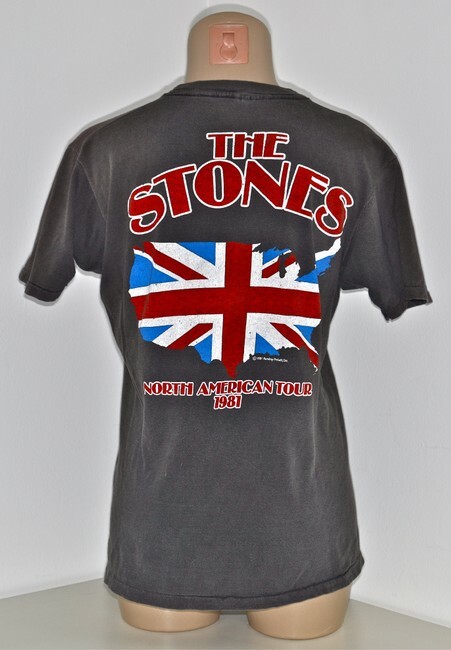 This t-shirt is in aged to perfection vintage condition. The cotton fabric has aged beautifully and has become very soft and comfortable. 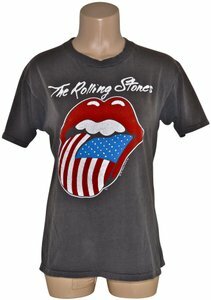 The black color of shirt has aged and faded beautifully to a dark gray color. The graphics show the perfect amount of aging and fading. Small pin-hole near collar. Overall, this is a true vintage gem. 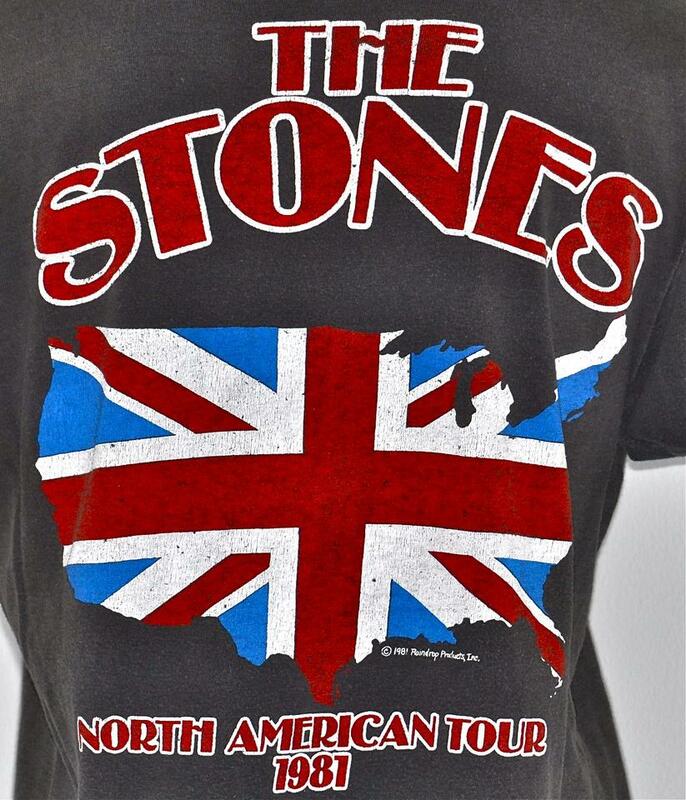 This amazing t shirt is 38 years old! This is one of the most iconic vintage concert shirts ever. This is a genuine original purchased at a show in 1981. This will appreciate / increase in value over time and is a fantastic wearable collectors item that you should be able to sell for twice what you pay for it today in just a couple years. 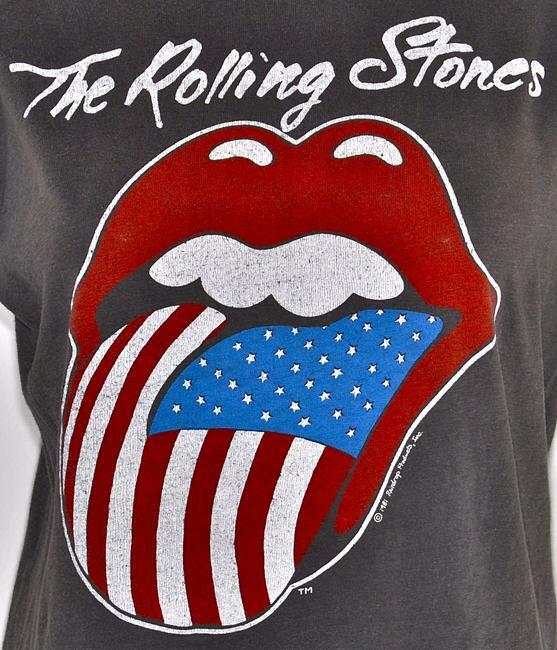 Famous owners of these genuine vintage Rolling Stones tees include Jessica Alba, Lady Gaga and Jessica Simpson - you can find tons of photos of them rocking theirs online. This is a real, genuine 100% vintage shirt from the 1980s. This is a rare, wearable collectible piece that will increase in value as the years go by. Do not spend your hard earned money on reproductions and knock-offs that have zero collectible value by companies like MadeWorn, Trunk LTD or Junk Food - Get the real thing right here.